1. Which of the following, from set #1, do you take for granted? 1. You woke up breathing. 2. You have the freedom to choose what you'll do today. 3. You had a bed to sleep in. 4. There isn't a hurricane, tornado, typhoon or other natural disaster going on outside your door. 5. You have the means to eat three meals today, even if one of them is Top Ramen. 6. 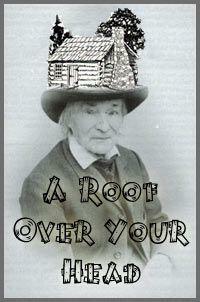 Your roof isn't leaking copious amounts of water directly on your head. 7. Your significant other is alive and healthy. 8. Your shower works—with hot water. 9. If you don't have work to go to, you have endless possibilities for your future. 10. The sun is shining, giving you all those feel-good brain chemicals. 11. You don't have Wicked Witch of the West syndrome, meaning that if it's raining, you likely won't melt. 12. Your closet didn't catch fire overnight. 2. And from set #2, what things to you take for granted? 14. If you don't have an iPod, you probably have access to music somehow. 15. If you drive, your favorite morning radio show is on. 16. As for that gridlock traffic, the fact that you're in it means you have a working car. 18. You have a cell phone, even if it isn't an iPhone, Droid, or Blackberry. 19. You have an office or workspace, even if it's shared. 20. If you're like me and don't have an office or workspace, you have the freedom to work wherever you want. 21. You received some type of email that lets you know someone cares about you. 22. If you didn't get one of those emails, you have the capacity to send one. 23. You got a call or voicemail from someone you miss. 24. If you didn't get that call, you have access to a phone, meaning you can make one. 25. Someone somewhere loves you. 3. Do you appreciate everything you have?